Home > Blog > Who Is Liable When Locum Tenens Doctors Make Mistakes? When a locum tenens doctor makes a medical mistake, like a misdiagnosing a patient, providing improper care or making a surgical error, he or she may be held accountable for the harm caused to the patient. The doctor’s contracted hospital could also be held liable for mistakes made by locum tenens doctors. In some instances, a staffing agency may have failed to notify the hospital that the doctor could pose a risk to patients. However, it is the hospital’s responsibility to perform due diligence by confirming the background of the doctor before signing off on this arrangement. Determining who can be held responsible under a malpractice claim can be difficult and usually requires the assistance of malpractice lawyers. Locum tenens means “to hold the place of” in Latin. It is a more professional way of saying that a doctor is a “temp.” A locum tenens doctor is an independent contractor who contracts with a staffing agency that assists hospitals in filling temporary vacancies in doctor positions. The hospital pays the agency who then pays the doctor. This type of doctor has a different employment status than one that is employed full-time by a hospital or one that is in private practice but holds staff privileges at a hospital. In today’s gig economy, many people are choosing to work as independent contractors instead of having a traditional employee/employer relationship. Hospitals need to make sure they can meet their staffing needs so they can properly serve their communities. And just like any big business, employees retire, move on to new opportunities, take maternity/family leave, or depart unexpectedly. Some employees can be replaced quickly, but with a shortage of physicians, it can take a long time to find a permanent replacement. Locum tenens doctors are an immediate solution for hospitals that need short-term assistance. The number of locum tenens doctors in the United States has almost doubled since 2002 and is expected to double again in the coming decade. Hospitals benefit as the number of locum tenens doctors continues to increase, thus increasing the pool of qualified practitioners available. Why Do Doctors Choose Locum Tenens? For some doctors, freelancing gives them the freedom to work as a doctor without the hassles of maintaining a practice, dealing with paperwork or waiting for payments from patients or insurers. Some agencies even cover the doctors with malpractice insurance. This can mean significant savings, especially for doctors just out of school. While there are some doctors that choose locum tenens for the freedom it allows them, others do not necessarily have the same motivation. Some doctors choose to work in locum tenens positions because past problems like malpractice suits, disciplinary actions, or other issues prevent them from finding permanent employment. 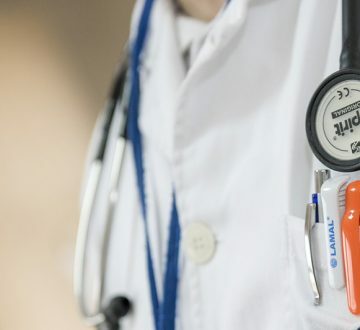 Because of this and concerns that temp doctors were not qualified as those who held full-time positions, many hospitals were hesitant about hiring locum tenens doctors in the past- and for good reason. According to research from Harvard Medical School, the mortality rate of patients treated by temp doctors was higher than those treated by full-time doctors. Why Would a Hospital Be Responsible? Almost 94 percent of health care facilities depend on the use of locum tenens doctors. These doctors are held to the same high standards as full-time doctors who are on staff. If a temp doctor were to make a medical mistake, he or she would be held responsible just as a full-time doctor would be. But the hospital can also be held responsible according to the concept of “respondeat superior.” This concept maintains that a hospital, as an employer, could be held liable for its employee’s negligent acts, provided the employee was acting within the scope of his job, regardless if he is a full-time or locum tenens employee. Under the concept of agency, the hospital can be liable for malpractice if they have assumed control over the locum tenens doctor. The hospital and doctor’s working relationship and specifics pertaining to this control will determine whether the hospital will also be found negligent. Locum tenens staffing agencies should vet the credentials and professional history of the doctors they refer to hospital staffing members. When an agency knowingly refers a doctor that could pose a risk to patients without alerting the hospital, they might also be considered directly liable under a malpractice claim. But if they are not held liable, the hospital might be able to seek indemnification later from the agency for the damages it had to pay out because of the doctor’s negligent actions.